The end of 2018 was soon in sight and, luckily, I had finished the autumn/early winter period off with a flurry of good fish. 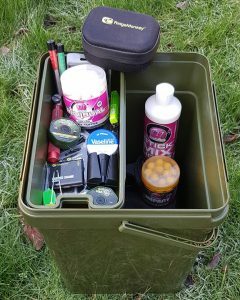 By mid-December though, it was obvious that my recent success on the big club lake had run its course and, despite catching a couple of tench in early December, the carp bites failed to come. I decided to knock things on the head for a while, sort things out for Christmas and enjoy a bit of family time at home. With a few weeks away, I was itching to get out over the festive period and a planned last-day-of-the-year trip to a local day ticket venue had me excited once again. The session, spent with my old friend Matt, was full of banter as usual and we both managed to bank a fish each to see the year out in style. 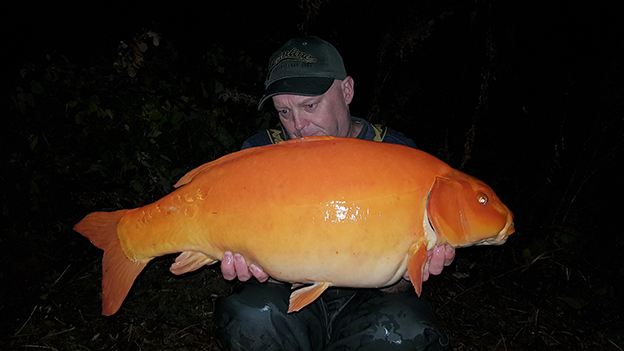 Bright and orange, at just under 20lb a PB Koi. End of year hard fighting mid double. 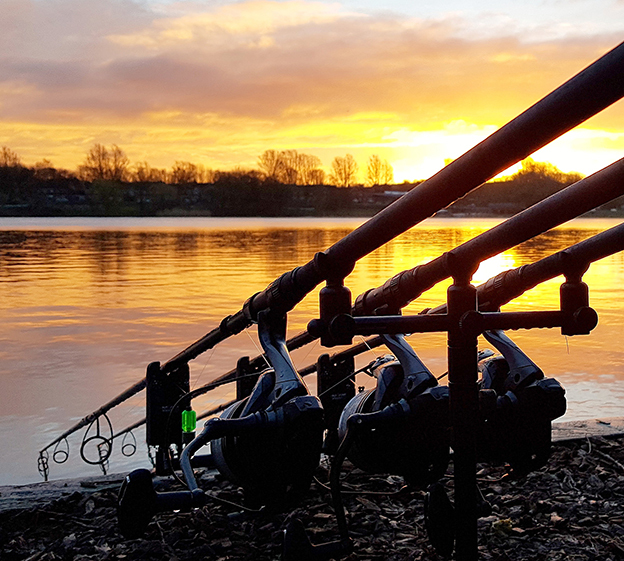 With our energy rekindled we returned a few days later and once again both caught a carp each – no monsters, but hard-fighting doubles and we enjoyed another day of banter and laughs. Simple tactics of small PVA mesh bags of 10mm Mainline Cell and boilie crumb worked for me on both trips. It was the first time I had actually used the RM Tec size 6 Beaked Point hooks instead of my usual curve style and the hook holds were superb. With the new year well underway, I found myself heading to windy Plymouth to see close family for a few days following some bad news. The south coast sun and sea was like a shot in the arm and I returned with a clear head and a totally different outlook. The weather, unfortunately, was a little unstable and cold over the next few weeks and, by February, I hadn’t done any more fishing. 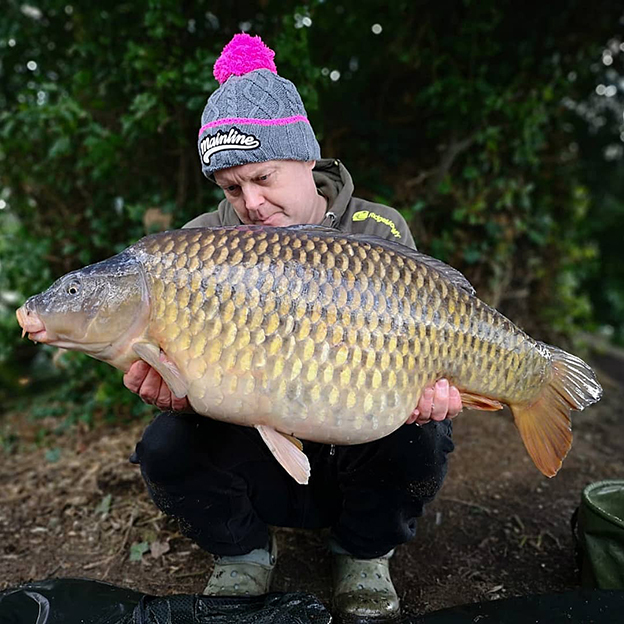 A bout of illness and a torn back muscle had me hospitalised at one point and the whole thought of fishing left me feeling a little sick to be honest. Glad to be back on the club lake, despite the pain! Salvation was just around the corner, though, as a few friends and I had our annual Winter Carp Challenge to look forward to. With a copious supply of pain killers, I met up with the guys at Cuttle Mill fishery. The trip was another success and, thankfully, the lads helped me out as I was still a little sore in places. Luckily, I managed to win the coveted Big Fish Trophy for the second time running. 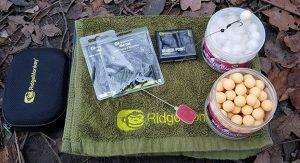 Simple 12-14-inch RM Tec soft coated hooklinks and size 6 RM Tec Beaked Point hooks proved the right combination once again and things started to look and feel better with each passing day. Cuttle Mill winner, what a lovely common. It was also a time when, with a number of the RidgeMonkey team, we are asked to attend various shows and exhibitions. The Brentwood show in Essex was great, but my highlight was the NAS7 show in Manchester. Being relatively local it was great to see and speak to lots of familiar faces and friends who came to the RidgeMonkey stand. The atmosphere was superb and really enjoyable once more. With March looming – and the daylight hours increasing each day – I was getting more and more excited about a return to the local club venue to see if I could carry on where I left off last November. Then, like a serpent rearing its ugly head once more, the back pain took hold. This time it came with severe stomach cramps and diarrhoea! Stupidly, I ignored the warning signs and went fishing anyway! 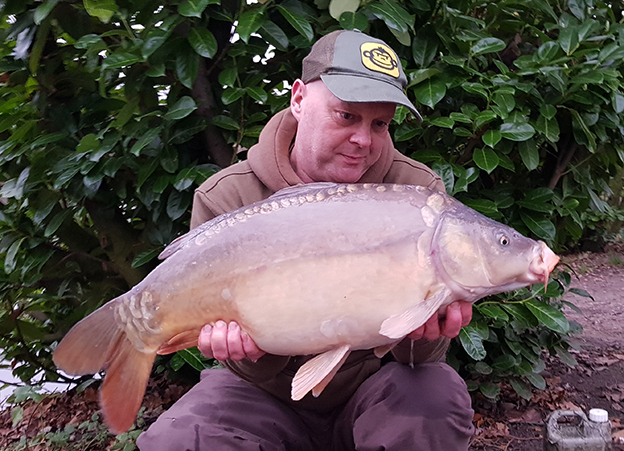 Despite catching my first fish of the year from the water, a lovely scale-perfect mirror and a few big bream, the session took its toll and before long I was back to see the GP. With a hospital appointment looming and a few blood test results to wait for I think a bit of rest and recuperation is needed. Talk about one step forward and two steps back. Every time I feel on the mend something painful crops up to scupper my plans! Hopefully with a little rest I will be all guns blazing by April and able to chase a few spring chunks. I will keep you all posted!